It always feels like a lifetime when there's a break between shows, we'll put that down to our love for the music and the artists we strive to feature on the Podcast. 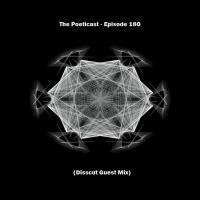 Well we are back for Episode 180 an we are joined by German electronic artist Disscut. Disscut is a techno DJ and Producer, hailing from Göttingen, Germany. A self-taught musician who mastered instruments such as drums, piano, cajon and bass guitar, from an early age, Disscut is also known as Tobias Wollborn. He has always been gifted with a passion and raw talent for music, and in 2001 he took it to the next level, beginning his journey as a techno DJ and Producer. Disscut started his DJ education by playing with vinyls, and soon started to develop, create and experiment with his own tracks. Currently, Disscut’s music can be found on websites such as Beatport, Traxsource and Spotify, where Disscut is showcasing his eclectic and immersive musical style. On top of all of this Disscut also owns and runs his own label ‘Vinyllover Recordings’ where he helps develop new talent and grow the musicians in his community. With ‘Vinyllover’, Disscut also wants to enable the underground techno scene to thrive and freely experiment to create new and innovative music.